Hunting is one of the most popular outdoor activities in the U.S. 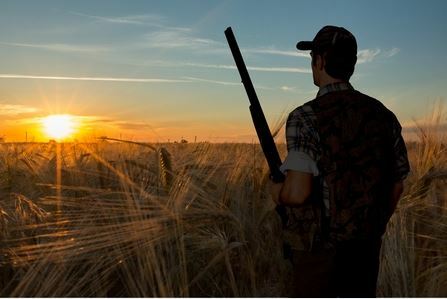 There are about 17 million people who go hunting at least once every year. In addition, those who hunt usually bring back more than just a deer or another trophy they were on the prowl for. They also bring back valuable life lessons that will benefit them for years to come. Here are several life lessons you’ll learn through hunting. It usually takes a lot of patience to get something you want. While hunting can be a lot of fun, it can also require a ton of patience for those who are able to bag their target. In order to be a successful hunter, you often need to spend hours and hours keeping an eye on your target before taking your best shot. If you can learn to be patient while hunting, you can learn to be patient while doing just about anything. Many times, it’s patience, not talent, that will allow you to enjoy success at the end of a long day. You’re not always going to be successful, no matter how hard you try. Many hunters spend hours going after an animal and use all the right equipment to do it and still come home empty-handed. Unfortunately, you’re not always going to bag a big buck or other animal when you’re hunting, even if you give yourself every chance to succeed. That will happen in many other areas of your life, too, but you can’t allow it to get you down. Even if you’re not successful, you should take pride in doing your best. The world is a beautiful place, and you should appreciate the nature that’s around you. Most people take nature for granted. They drive by parks and forests and other signs of nature every day but don’t take much time to savor it. Hunting will put you right in the middle of nature and force you to reconsider your outlook on it. You will have a much better appreciation for it once you’ve spent some time hunting. Want to start learning the life lessons that come along with hunting? Samuelson Outfitters can teach you all about them with the best deer and elk hunting in Colorado. Contact us at 970-726-8221 today to schedule a hunting trip.